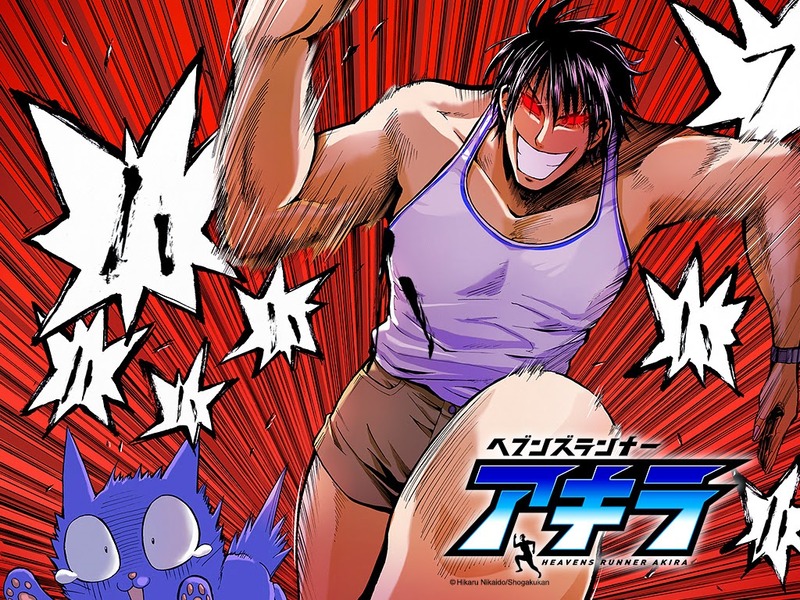 Akira, a high school student is feared by everyone due to this physique and rather scary expressions. He lives a lonely life. He has no friends and finds it difficult to keep a job as he scares everyone away. One evening he has a chance encounter with another high school student, Yumiko Ogasawara from the track club. Yumiko is not afraid of Akira as she apologies for injuring him. Akira is touch by her splendor and beauty that he decides join her on her run the next evening. During their run Yumiko sees Akira getting runner's high, where the body is push to its threshold. Akira is encouraged to join the track team, and so begins his journey as a runner. Heavens Runer Akira began in Weekly Shonen Sunday issue 24 by Hikaru Nikaidou. Nikaidou is an experienced mangaka but none of his previous series have been a major hit. This new series is fun to read but does seem like most readers would get tired of it over time.